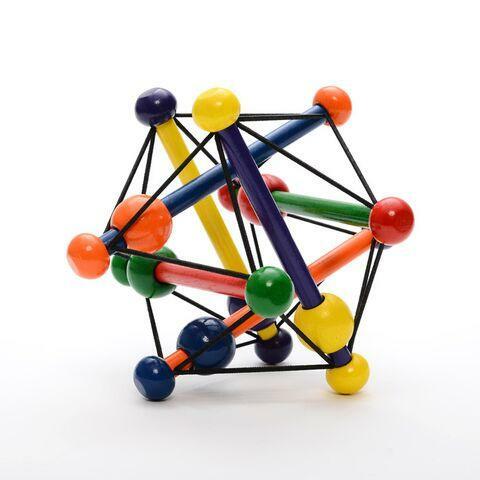 Durable wood and elastic manipulative sculpture. It Skwishes and returns to its original shape, with beads that slide and rattle. The Skwish is made from renewable rubberwood. Great tool for therapy and fun. Dimensions: L: 6" x W: 6" x H: 6"